assuming our share of responsibility and privilege of propagating the Gospel of Jesus Christ by all available means, both at home and in foreign lands. We as a Fellowship shall adopt the following articles or church order and submit ourselves to be governed by them. In this Constitution, the terms, Church, assembly, congregation and fellowship shall be considered synonymous. entirely trustworthy, and constitute the only supreme authority in all matters of faith and conduct. 2. There is only one God, eternally existent in three persons: Father, Son and Holy Spirit. glory as King of kings and Lord of lords. 4. The reality of Satan and his present control over unregenerate man does exist. and is characterized by the Holy Spirit. 6. The Holy Spirit enables believers to live a holy life, to witness and work for the Lord Jesus Christ. of Pentecost and continuing until our Lord’s return. 8. The Church, the body of Christ, consists of all true believers. unto the resurrection of life, those who are lost unto the resurrection of damnation. unto salvation, and who give clear evidence of this experience in their life. This constitution may be amended at any congregational Business Meeting of this local assembly, duly called by the Pastor for that specified purpose, provided that the notice of said proposed amendments shall have been given in the announcement of said business meeting. Any amendment forthwith made will be in accordance with the moving of the Holy Spirit and nature of ministry of this assembly. A copy of the proposed amendment or amendments shall be available to a Grace Family Church member between the time of the announcement and the time of the congregational Business Meeting. The name shall be “Grace Family Church”. It is incorporated under the Ontario Corporation’s Act by letters patent dated July 5th, 2004. A. That there is consideration to times for designated offerings for missions and ministries etc. B. No unauthorized soliciting of funds for special projects allowed. The approval of the Pastor must first be obtained. C. In the case of visiting ministries, financial remuneration is in accordance with the policy of the church as set down in the minutes, taking into account expenses and being sensitive to the needs of the ministry. This payment is to be made by cheque and must in no case be paid out of received offerings. D. All tithes and offerings be recorded in a proper ledger and deposited in a local bank. The Executive Board shall appoint a Treasurer, who along with the Pastor shall be authorized to sign all cheques. All requiring Income Tax receipts must place their money in an envelope with a name or a given number on it. No receipt will be issued for offering placed in an unmarked manner. E. Two members and never one must be present in counting all offerings received. All other monies should be receipted. F. That all financial departments of the church be responsible to give an annual Financial Statement, duly balanced, audited and signed and likewise in any periodical request of the Pastor for the financial standing, that it be duly balanced and produced at reasonable notice, for those requesting such. G. The Pastor shall be allocated a reasonable petty cash fund to meet incidental expenses of the Church. This is to be accounted for with receipts to the treasurer. H. That an auditor be appointed annually by the Pastor to verify financial statements. I. All cheques shall require the signature of the Treasurer or Pastor and at least one other member of the Executive Board. All property, both real and personal acquired by or in the name of, or for the purpose of Grace Family Church, shall be vested in the Corporation, subject to any declaration of trust that may be executed by the Corporation. All property whether real of personal, transferred or disposed of without written consent under seal of the Corporation in the hands of the proper officers thereof, except as in the ordinary course of business. A. The Applicant shall be capable under normal circumstances of reasonable regular attendance. having experienced the baptism of the Holy Spirit according to Acts 2:4. C. The Applicant shall voluntarily subscribe to the Tenets of Faith of Grace Family Church and agree to be governed by its Constitution and Bylaws as herein set forth. D. The Applicant shall agree to support Grace Family Church with his/her tithes and offerings and by such service as he/she may be able to render. E. The Applicant shall have demonstrated his/her suitability for membership over a period of at least six months, by his/her regular attendance, financial support, Christian life and conduct, and co-operation with the church, its Pastor, Elders and Deacons. Any person having complied with Article VII Section I will be considered a member of Grace Family Church and only members will be allowed to attend Annual or Special General Business meetings. (1) If he/she personally requests so in writing. (2) If a member dies. (3) If it is established that a member has become a member of any other church. and in fact severed all connection with Grace Family Church. offering support from Grace Family Church. with tenets of faith of Grace Family Church. The officers of Grace Family Church shall consist of Pastor, Elders, Secretary-Treasurer and such other officers as may be determined from time to time. The Pastor (President of the Corporation), shall be the spiritual overseer of Grace Family Church and shall direct all of its activities. He shall have absolute charge and unqualified control of the spiritual work of the Association, and shall be responsible therefore only to the whole body of Members. He shall arrange for all special meetings, missionary conventions, or revivals campaigns, and shall act as chairman of all the Business and the Board Meetings. He shall be ex-officio, a member of all committees and departments. He shall provide for all the services of church, and no person shall be invited to speak or preach in the Assembly, without his approval, no Congregational or Board meetings shall be held in his absence, without his authorization. The Pastor shall choose and be responsible for all full time or part time ministerial and office staff members. Luke 4:18; Acts 2:4; 6: 5; 9:17; and Eph. 5:18, with the evidence of speaking in other tongues. He must be divinely chosen and also be equipped with the Pastoral Ministry Gift. (Acts 9:15; Eph. 4:11; 1 Cor. 12:8-11). The Pastor may resign by giving one month’s written notice to the Executive Board Secretary of the Association. In the event Grace Family Church should be without a Pastor, or if the Pastor should voluntarily resign, or in some other way disqualify himself by not fulfilling the same qualifications that were initially required, the Executive Board of Elders shall call a special Meeting, composed of ministerial staff, all Elders, Deacons, Deaconesses and any other officer the Executive Board may call to discuss the affairs of Grace Family Church. The Council of Elders will prayerfully investigate prospective Pastors, and when they have in unanimity found the man or woman of their choice, they shall call a special General Meeting of Grace Family Church to present the name of the proposed new Pastor for a show of confidence. If approved, by a majority, he or she shall then be called as the Pastor of Grace Family Church for an undetermined period. All existing full and part-time ministerial and office staff shall tender their resignation to the new Pastor. A. There shall be a Council of Elders appointed from the members of Grace Family Church. and also in ministering the discipline of the church. An elder is called by the Holy Spirit, recognized and appointed or ordained by the Pastor and the Elders, after having been an active member of Grace Family Church for at least one year, and set into office by the laying on of hands in the presence of the assembly. An Elder’s stay in office shall be for an undetermined period, as long as he does the work of an Elder, unless he voluntarily withdraws from the position, or in some way disqualifies himself by not meeting the same qualifications that were initially required. An Elder who is particularly aged or lacking in physical strength may function in an advisory capacity, and his wisdom should always be highly valued. 12) Must strictly follow the Bible teachings in his social relationships. Ruling means to be over, to superintend, to preside over, to care for, and to give attention to, with a proper servant’s spirit and attitude. This ruling may at times call for the exercise of discipline in the best interest of the souls of the people. As rulers, Elders stand accountable before God for the state of the assembly. Instructing means to teach or instruct the church; to give stability and unity among the Body, firmly based on the Word of God, convincing opposers. Priority should be placed on the Elders coming to a place of unity on questionable areas so that they can speak as one man. NOTE: For the purpose of simplicity any reference to “Deacon” in this section (sec 4) will also apply equally to the Office of the Deaconess. A. There shall be an office of Deacon. Deacons shall perform various services of a practical nature as directed by the Pastor and the Elders. Deacons shall be appointed by the Pastor, and approved by the Elders. In order for any person to be considered for the office of Deacon, he or she must have been an active member of Grace Family Church for a period of at least one year, if approved, he or she will then be set apart by the laying on of hands of the Pastor and the Elders in the presence of the assembly. The Deacon will remain a Deacon as long as he or she does the work of a Deacon, and as long as he or she is qualified under the original requirements for the office. 11 communion table and servers, etc. He shall be one capable of performing such clerical duties as his office requires, and shall be appointed by the Executive Board, and may be one of its own members. The office of Secretary and Treasurer may be filled by the same person who may or may not be a member of the Executive Board. He must meet the qualifications of an Elder or Deacon. The Secretary shall be custodian of the records of various Congregational Meetings and shall record the same in record books provided for that purpose. He shall preserve the records of the church and prepare reports as directed by the Executive Board. The Treasurer shall be the custodian of the general funds of the church and shall deposit same in a Chartered Bank in the name of Grace Family Church and shall disperse such funds as authorized by the Executive Board. He shall keep an accurate record of accounts. He shall present a financial statement at the Annual Business Meeting and at any other time when requested to do so by the Executive Board. His books shall be audited before the Annual Business Meeting by the duly elected auditor. A. There shall be an Executive Board of Elders, chosen to serve Grace Family Church and there after it shall act in an administrative capacity with the Pastor in matters pertaining to the financial affairs of Grace Family Church. All cheques shall require the signature of the Pastor or Treasurer and at least one other member of the Executive Board. B. The Executive Board shall consist of five (5) Directors of the Corporation. The Pastor (Elected President of the Corporation) and four (4) leaders as the Executive Board members. They are chosen by the Pastor and sanctioned by a majority show of confidence by the members of Grace Family Church at the Annual Business Meeting. The Executive Board shall thereafter appoint Executive Officers, a Secretary, a Treasurer or Secretary-Treasurer and such other Executive officers as they may determine. A majority present in any meeting of the Executive Board shall constitute a quorum, provided that all the members have been notified to be present. C. The Executive Board member’s term of office shall be for one (1) year, and members will be eligible for re-approval. Executive Board membership on the Board shall cease if any Board member, during the term of his office shall resign, move away, cease to be a member of Grace Family Church or be disqualified by no longer meeting the same qualifications that were initially required. The Pastor and remaining members of the Executive Board may appoint a member of the Association to fill any such vacancy until the end of the term. 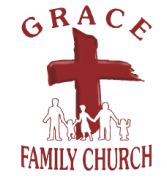 The Annual General Meeting of Grace Family Church shall be held on such date as the Executive Board shall think most convenient to the majority of the members, but no later than March 30th each year. The following procedure will be observed in calling a General Meeting or a special meeting called for the purpose of amending the constitution or bylaws. The date, place and time of such meetings shall be announced from the pulpit of the church, both morning and evening services, in the two successive Sundays prior to the date set for the Meeting. This will be the only form of notice required to be given, and the failure on the part of any member to hear such notice shall not invalidate the proceedings at such meetings. Amendments to the Constitution of bylaws may be made at any regularly called Annual General Meeting or any special meeting called for such purpose, provided notice of such change is given. Notice of the proposed amendment shall be posted in the lobby of the sanctuary of Grace Family Church 14 days prior to such meeting. Special Business Meetings may be called by the Pastor and the Executive Board. The Fiscal year of Grace Family Church shall end of the 31st day of December of each year. It shall be the duty of the Pastor and the Elders to fill all the appointed offices. All departments of Grace Family Church shall be responsible to the Pastor. No member of any number of members shall call any private, secret, business or devotional meetings without the knowledge and consent of the Pastor and the Executive Board. We the undersigned are in full agreement with the above bylaws and constitution. Please indicate date of birth for each child, use back of sheet if necessary. A. The applicant shall be capable under normal circumstances, of reasonable regular attendance. the baptism of the Holy Spirit according to Acts 2:4. Grace Family Church and agree to be governed by its Constitution and By-Laws as herein set forth. with his/her tithes and offerings and by such service as he/she may be able to render. its Pastor, Elders and Deacons. as may be required by the Church Board.